3 What Is the Anniversary Gift for 36 Years of Marriage? Using just one rug was so last year. Not only does this allow you to vary it up with colors and textures, you never have to shy away from a too small or too large rug again. If hipsters can contemporize their living rooms with Eames rockers, why can’t you do the same with your nursery? 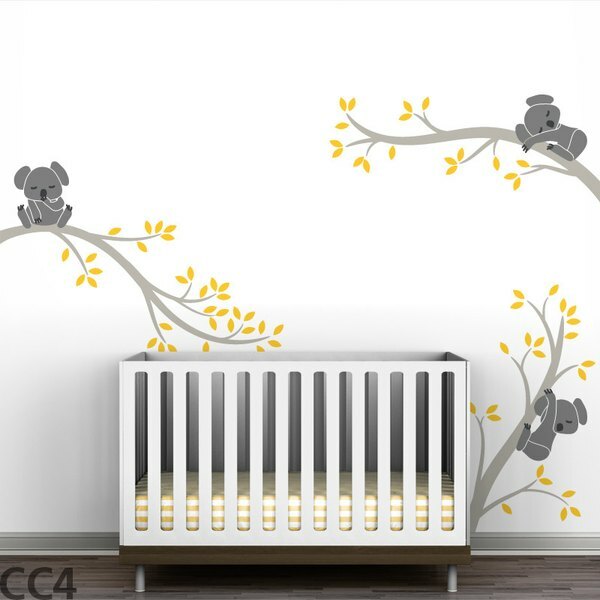 With the plethora of adorable peel-and-stick wallpapers out there, it’s super easy to update your nursery into something fresh and modern. Think geometric shapes, chevrons or whimsical illustrations. A nursery done in various shades of gray can be simultaneously soothing and contemporary. When picking out a rocker or nightstand for the room, think beyond the all-too- fleeting baby years and select a piece of furniture that could easily transition to a toddler room or the family room. No all monkeys or princess-themed rooms allowed. Instead, stick to complementing accessories and colors - just as you would in designing your own bedroom.